Amid an educational system “overburdened and underresourced,” the Affordable Private Education Center (APEC) Schools, a joint venture of international education company Pearson and Philippine business giant Ayala Corporation, seek to provide for-profit secondary education through an edu-business model approved by the Department of Education (DepEd) raising questions on quality and teachers’ rights. With over 10,000 students in Grades 7 to 9 and Grade 11, the education chain now operates schools in 29 sites in Metro Manila and nearby provinces. APEC aims to establish 500 schools in 10 years enrolling up to 250,000 students. 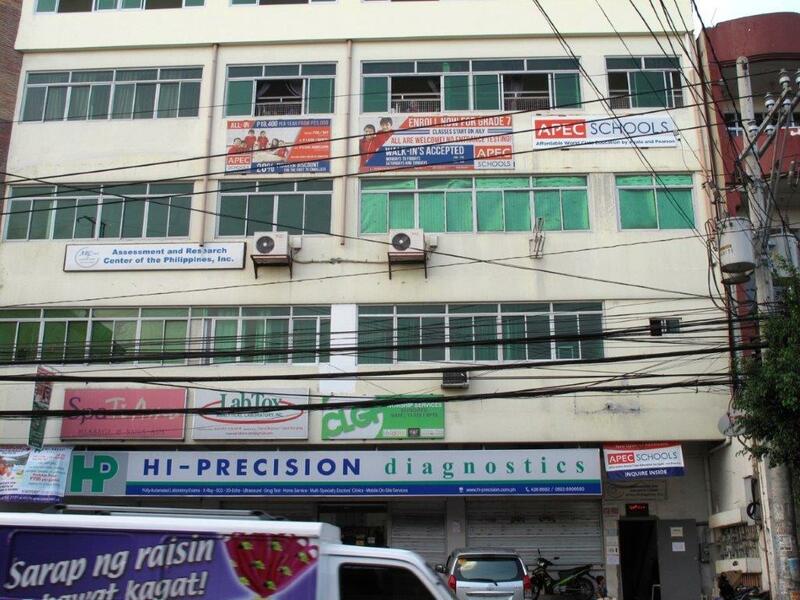 APEC has been renting unused office spaces in commercial buildings instead of constructing school facilities on purchased land, a practice which would have been in violation of DepEd regulations on size, location and accessibility of school buildings, Riep’s research revealed. Other facilities such as science laboratories, libraries, and gymnasiums are either inexistent, not fully equipped, or shared among APEC schools. Riep’s study also found that up to 70 percent of APEC’s teachers are not licensed. The teachers are then paid low wages and asked to stick to standardized lesson plans. In an earlier statement, the Alliance of Concerned Teachers (ACT) called on DepEd to repeal its agreement with APEC and for the government to divert to the public education system the P12 billion fund now being allocated to vouchers, which are given to students to attend private schools like APEC. “P12 billion could have built around 30,000 classrooms and could have catered to more than one million students. Solving the problems of public education is not through privatization schemes. The voucher system is designed to shift money away from public schools and to private schools including for-profit schools such as APEC, making education highly profitable in the Philippines,” said Raymond Basilio, ACT national secretary-general. He added that APEC’s non-compliance with DepEd requirements for private schools shows how APEC values profiting from students and the voucher system, putting profit before the well-being of Filipino youth. In the DepEd budget hearing at the House of Representatives on September 2, Education Secretary Leonor Briones said that APEC’s agreement with the department has not been renewed for the present school year and is under review. Other previous research by EI and Riep has also expressed concern over the growth in countries such as Kenya and Uganda of private for-profit school chains employing unqualified teachers, providing scripted lessons and using unsuitable environments for learning to drive down costs. Riep’s study titled “Corporatised Education in the Philippines: Pearson, Ayala Corporation, and the emergence of Affordable Private Education Centers (APEC)” can be accessed here. A new study released Oct. 5 by Education International (EI) reveals how profits come before students and how legal standards in education have been disregarded by an edu-business operating in Uganda. The EI report, “Schooling the Poor Profitably”, follows weeks of investigation into the operations of Bridge International Academies (BIA) in Uganda where it has established 63 private for-profit schools, since February 2015, with an estimated 12,000 fee-paying customers. This is the same company that attempted to intimidate Canadian researcher, Curtis Riep, by having him falsely accused and arrested while he was in Uganda last May. The company has been the subject of significant criticism for failing to meet legal and educational standards and a government order closed all the schools in August. Although the schools have since reopened temporarily, EI is keeping a watchful eye. Drop-out rates are high – from 10 to 60%. The education provided by Bridge International Academies (BIA) in Uganda disregards legal and educational standards established by the Government, according to a new study by Education International (EI). These include requirements to employ qualified teachers, observe the national curriculum and standards related to school facilities. BIA is one of the largest education for-profit companies in the world, with plans to sell basic education services directly to 10 million fee-paying students in low-income communities throughout Africa and Asia by 2025. In Uganda, BIA has expanded rapidly since February 2015, with an estimated 12,000 fee-paying students. However, in August, the Permanent Secretary of Uganda decided to close all BIA schools due the company’s failure to meet the Government’s educational and legal standards. EI’s analysis of Bridge’s curriculum and pedagogy reveals serious implications for teachers and students that fundamentally alters the nature and practice of education itself. The company has created a business plan based on strict standardisations, automated technology, cheap school structures, and internet-enabled devices that are used to carry out all instructional and non-instructional activities that make up an education system. BIA uses broadband technology to deliver its ‘Academy-in-a-box’, with pre-programmed curricula transferred to tablet e-readers – ‘teacher-computers’ – that distribute knowledge and information to pupils. This represents a business strategy for drastically reducing operating costs and benefiting from economies of scale by employing unqualified teachers and paying them severely low wages. EI’s research revealed that up to nine out of ten BIA teachers are unlicensed, in direct contravention of Uganda’s Education Act (2008). In addition, the physical structures of Bridge Academies are below par, with reports of “poor hygiene and sanitation” in school buildings which often do not meet the Basic Requirements and Minimum Standards established by the Ministry of Education. BIA fails in its mission to provide ‘affordable’ education for all children in Uganda. Children of low class cannot afford to pay anything for education, much less BIA fees, according to a Ministry official. Families with an average household income have to expend up to 23 – 27% of their earnings just to send one child to a Bridge school for one year. Indeed, the BIA school dropout rate ranges from 10%-60%.